There is no doubt it’s so much better when you can photograph the bassets at their eye level. But this is much easier said than done. For these dogs are just a few inches off the ground and as much as I love them and this basset eye view scrabbling around in the wet ground is not much fun. Instead I like to get ahead of them on a walk where there is a downward stretch and I can stand up straight and capture them as they turn the corner and come into view. 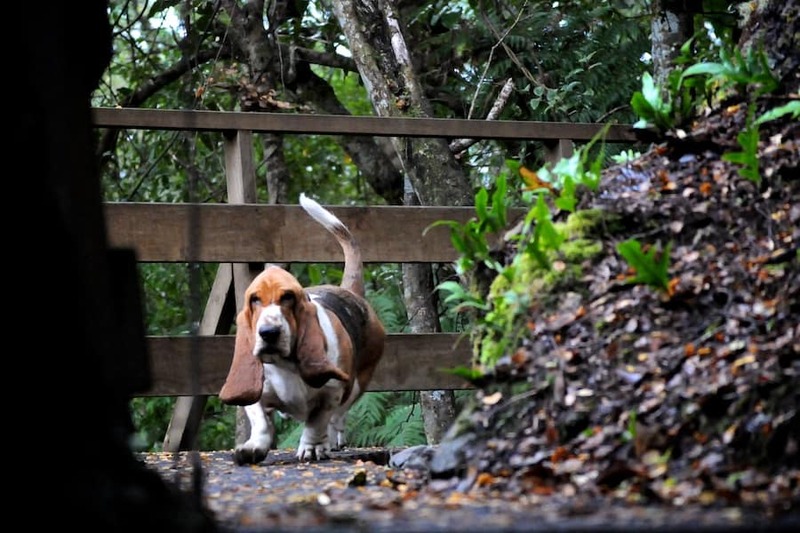 You can be sure that little basset will be first around the corner. Fortnum preferring to take his time and bring up the rear. that’s the exact same reason I have very few pics of Abigail from this angle!! But well worth the effort, you can only look at the top of their heads so many times! !